Q&A: Will the new BlackBerry find success in today’s mobile world? The first thing that struck me about the BlackBerry KeyOne was how expensive it was compared to the Xiaomi Redmi Note 4 and the Huawei Nova. But BlackBerry Mobile senior executive Bob El-Hawary says they’re not about a “like for like comparison”. The KeyOne differs thanks to a security focus and a physical keyboard. But will this be enough to make it a success? Does BlackBerry Mobile not see the physical keyboard market in particular dwindling to nothing? “From what we’ve seen to date and from what we’ve actually planned, we’ve seen that users actually miss their keyboard,” the company’s Logan Bell answers. Another big hurdle for the new phones is the lack of BIS, which brought unmetered mobile internet access to scores of users. Of course, BlackBerry 10 eschewed this back in 2013, but it was a big reason for people to buy the older handsets in the first place. El-Hawary says the company will make its phones stand out from the pack instead. Is it fair to say that reclaiming the mass market isn’t the strategy for the company and the new phone? The senior executive explains. So what is the company hoping to achieve in terms of marketshare in South Africa? The big issue with the KeyOne thus far has been concern over screens falling out, but the company claims that they’ve fixed the defect. “The steps we’ve put in place… We’ve actually examined and… put in more adhesive materials. Just so it’s clear, this was only recorded in a handful of devices at the beginning of the launch… So we don’t see this as widespread, we’ve responded very quickly. And we put in a rectifying action, which is more adhesive materials, as part of the solution,” El Hawary continues. “Anyone who has a screen lift issue will get a replacement,” adds EMEA PR manager Camille Gere. Speaking of screen-related matters, we’ve seen Samsung and Huawei offer specific services for accidental screen damage. 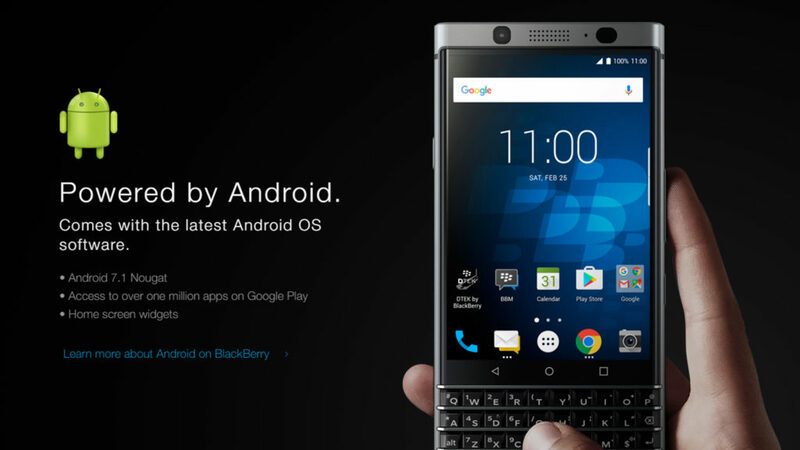 Is this something we can expect from BlackBerry Mobile? 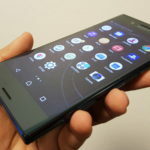 “Right now, we’re just focused on the manufacturer’s warranty… It is a very durable phone, so we don’t feel we necessarily have to put in measures like that… To be honest, I’ve never seen a BlackBerry with a cracked screen…” El-Hawary answers. As for software updates? Bell says that they’ve committed to 24 months of security updates — what about Android updates? The company has since told Gearburn that there will be updates, without going into detail regarding timelines or commitment periods.